Quality, precision, and an undying hunger for perfection are what make Catalyst Boatworks the premier choice in today’s market of cat-style hull boats! Founded by Jamie Reber, Catalyst’s focus has always been to do what we do best and lead by example. Catalyst Boatworks refuses to follow the crowd of monotonous vessel builders that run rampant through the custom boat world. We are driven by this never-ending pursuit of excellence and quality in both our products and customer satisfaction, and the results speak for themselves! This quest for your new cat-style hull boat begins at our facility in Wallis, Texas where staff members with over 20 years of experience in the industry begin the design and engineering process. The building process continues with the use of only the highest quality materials and in the nation. 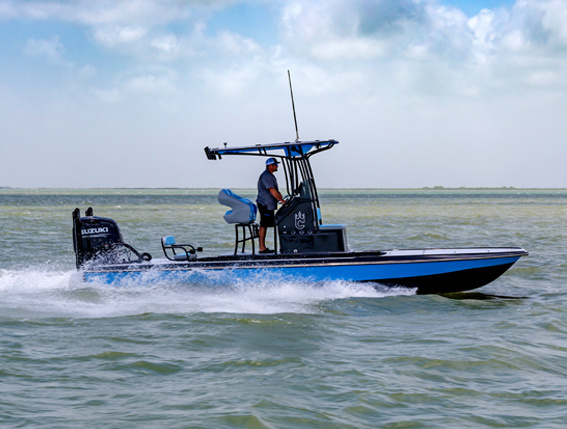 Using the specialty cloths and cores to craft professionally hand-laid hulls, Catalyst creates a custom-built and incredibly durable boat that will withstand even the toughest conditions that the beautiful and treacherous Gulf Coast waters can throw at it! Our hulls go through a rigorous QC process to ensure pristine fit and finish. 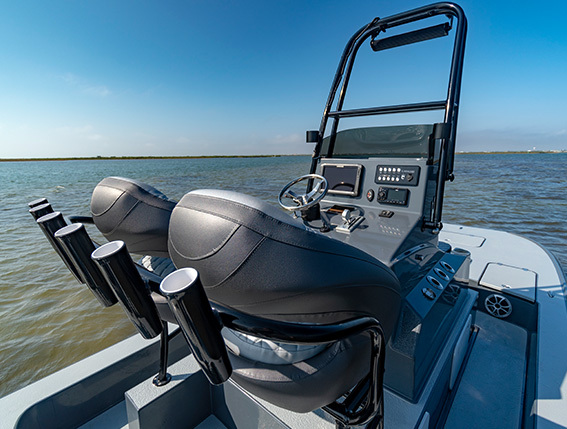 Once the quality test is completed, Catalyst continues the journey towards perfection by custom-building the inner workings and aesthetics of your vessel, including custom molded hatches, and recessed trim tabs. Our team pays attention to the items that can be overlooked and exhibits a sharp expression of cleanliness and attention to detail that brings your boat to the front of the pack. Coupling these features with the implementation of high-quality seals, durable stainless steel accessories, stunning upholstery, and uniquely intuitive console gauging brings forth a masterpiece of boat engineering and enjoyment that only Catalyst Boatworks can provide. If you would like to learn more about us at Catalyst, or if you’d like to schedule a ride-along with one of our highly knowledgeable guides in the Texas Coastal area, please visit our “Contact Us” page.